The second oldest son has been trying to get his learner’s permit for all Summer long. Towards then end of the school year when he finally expressed interest I suggested he ask his Drivers Ed teacher for a copy of the handbook. As predicted, the son brushed me off saying that he had an ‘app’ with practice tests and that was more than sufficient. When he failed the first time, I again suggested he get a copy of the handbook. Again, I was politely ignored. After he failed it the second time, despite taking 4,927 tests on his ‘app’, I just kept my mouth shut. Either he’d listen or at some point he’d be hitchin’ his rides. Two weeks ago, I noticed a suspicious looking paper manual rolled up and sticking out of his pocket. Even more curious, it seemed to be his new must-have accessory. Hmmm. Last Friday The Hubs took off work and headed with Son # 2 for the DMV bright & early. I’m happy to report that he passed with flying colors, a perfect score. The I told you so passed silently between us, marked only by the sheepish look on his face as he hugged me when he walked in the door. Talk about putting your life in someone else’s hands, lol. I’m not afraid of the teaching bit, but those first few rounds of the neighborhood parkway were a white-knuckled experience. I felt the hairs turning gray, rapidly– especially the first few harrowing turns. Oh, the starts and stops. Slow and steady wins the race though, and we’ll make a fine driver of him yet. When we returned home, we both needed a little something to cool our nerves and to cool off from the heat outside. Normally we’d opt for an ice cold glass of sweet iced tea. Or a tall glass of fresh lemonade. But y’all know how much we love to do things differently, putting fresh spins on old family favorites. First things first though, we poured ourselves two tall Arnold Palmers, and then kept right on pouring— into popsicle molds. 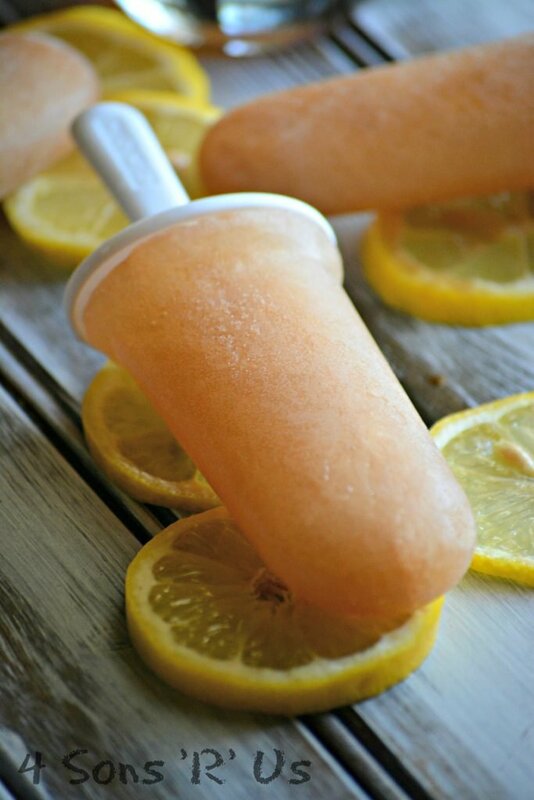 Two of our favorite refreshing flavors frozen into yummy harmony for really refreshing cool, sweet treat. Make and mix your lemonade flavored sweet tea from scratch or pick up a can or a jug of your favorite brand at the grocery store. 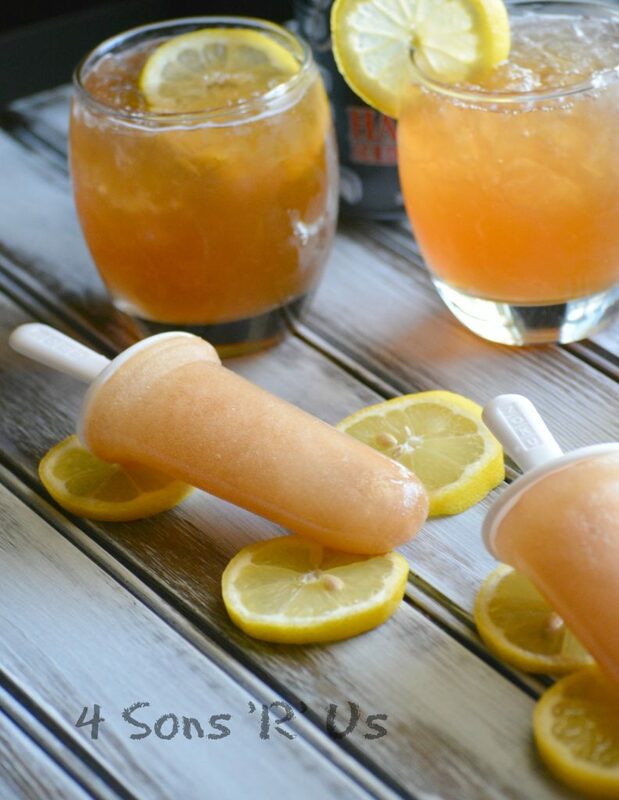 These Sweet Tea Lemonade Pops are a breeze to make. 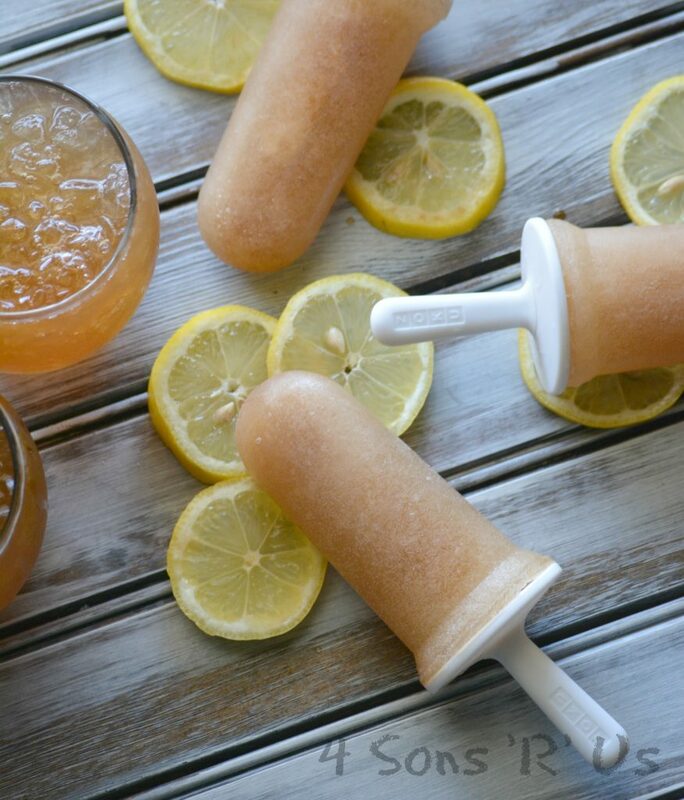 A mixture of sweet iced tea and chilled lemonade these frozen pops are a perfectly refreshing Summertime snack or dessert. Remove from heat and pour over tea bag (I used family size). Add ¾ cup of sugar, stir until dissolved. In a small saucepan, stir together the sugar and 1 cup of water. Bring the mixture to a boil and continue stirring until all the sugar has dissolved. Remove the pan from heat and allow the syrup to cool down to room temperature. Stir the cooled syrup and the lemon juice into the remaining, chilled water until completely incorporated. 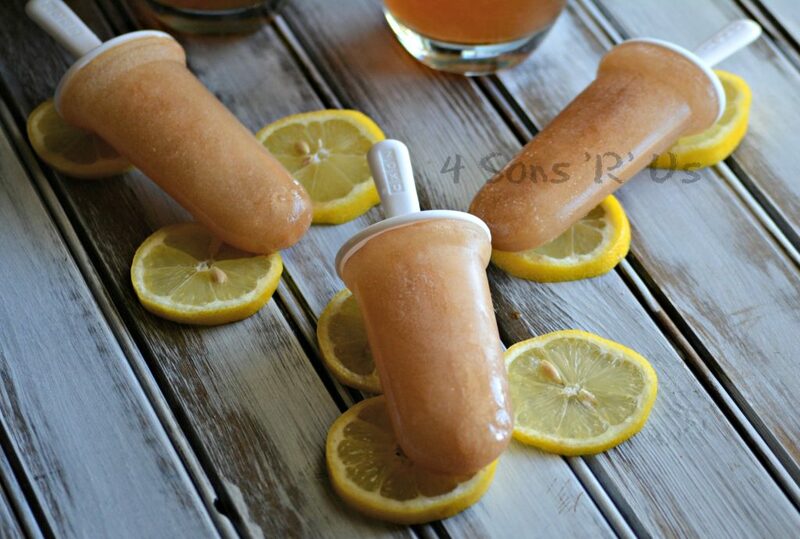 Fill your popsicle molds 3/4 of the way with the sweet tea. Add lemonade to the molds until the mixture has reached the fill line. Use a stirrer to gently stir the mixture to combine. Insert sticks and freeze. Run under warm water for a few seconds to release the frozen pops from their molds when ready to eat. Don't do delayed gratification well, or short on time? Buy your favorite store brands instead!